An oldie but goodie. Lillia was three days old. Today was a day full of disappointments and toe stubbing and missed naps and all sorts of rain clouds (even real ones that pour rain). In the end it all worked out, but in the thick of it that's when I need an image like this on every wall of the house. Because they really are that wonderful, and Bella still dotes on Lia as she has from day one. 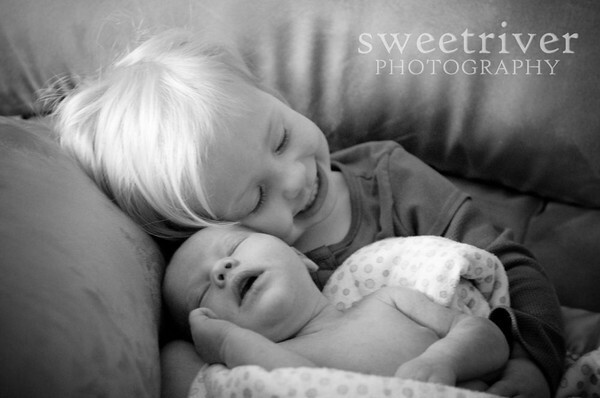 Lia couldn't have picked a better big sister.